Being a James Bond fanatic brings about interesting and unique consequences. One being despite the many decades of history, you can surely sift through and identify what is relevant, what you enjoy, and what you view to be something that is entirely true to the Bond universe. With this however, another interesting situation arises. You realize that there are many different categories of Bond fans out in the world, and despite your reluctance, or possibly your ethnocentric view of what being a Bond fan means to you, you can nevertheless identify the major strengths, and weaknesses of these categories. But before we delve into this world of controversy and uncertainty, lets first describe why the James Bond universe is so intricate and filled with exceptions, that it makes so many classification of fans possible, mostly in field of film. 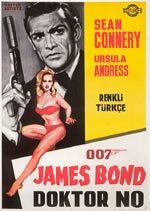 The James Bond films have a very large history. I won�t delve into this history, but the first �official� movie came in 1962 with Dr. No. What allows the Bond films to be even more unique is that even in the present, the films are still being constructed. Such a history brings out many occurrences. The main one I would like to focus on is that these films, in the present, cannot be criticized nor compared to other films within the industry. The Bond films have created, in itself, a new genre. Simply termed, �a Bond film.� This presents itself both an advantage and disadvantage. The advantage being the sole fact that the producers of these films can pretty much do anything they want to the film, make it as far fetched as possible to the extent of the other films, and keep reusing the same formula over and over again. It gives this opportunity for the films to still be profitable. I can safely state that this reason alone may possible be the main reason the franchise has kept surviving. The disadvantage is the same as the advantage. This total freedom in creative control has produced a fine classification system for Bond fans across the globe, and not to mention the fact, that most of these fans, based on their own personal perception of what Bond is, and their likes and dislikes, can determine what is utterly crap and what isn�t. The line I believe that must be drawn is what should be considered crap, and what should be considered nit picking and ethnocentric. 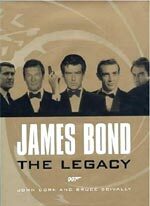 If you would like to know the other occurrences and impacts the Bond franchise has on many cultures throughout the world, please turn your attention to the quite excellent book titled, James Bond: The Legacy. However for now, we will focus on this main one. I would like to present to you a general three classification system describing the many Bond fans out there, along with many of their strengths and weaknesses that each possess. The first I will simply term the �Well Rounded Bond Fan.� This term describes the fan that knows their Bond knowledge front to back. Whether it be in the literally form or with the films, this person can hold an intelligible and clear debate. They hold no alliances to any such author nor actor, and roughly enjoys everything that was established, but naturally has his or her favorites. The disadvantage is mainly that the older content is firmly established in their mind, and it will take a lot of effort and creativity to make the newer content perform better than the old. However, they can still identify what is wrong with the newer, and pray that one day, it will be fixed. The second term is what I call the �Ethnocentric Fan.� This fan holds an alliance to one actor, author, or even one movie and can debate you till the end of time on why everything else is inferior. They declare that one part to be the true Bond and shun out the rest. The only advantage in being this fan is that not much knowledge of the 50+ histories is required, as you only need enough of the side you take allegiance to. The disadvantage obviously being the fact that you have a very unsatisfying time, as you can only faithfully enjoy a handful of movies, a couple of books, and even one or two soundtracks. 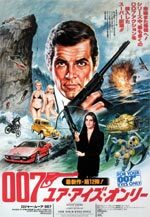 The last and final classification can be termed as the �Casual Fan.� This fan simply declares that if you have seen one Bond film, you have seen them all, and perhaps you can argue that this is partly true. Nevertheless, this fan hasn�t seen all of the films, nor would I be surprised if they have read a single novel. They probably enjoy playing the video games more then they do watching the films, and even so it is merely a casual vacation away from real life that they dwell in the world that they have dubbed to be Bond. The disadvantage being such a way is that you don�t know the full extent of the world you are visiting, and your perception can be slightly misguided due to the fact that you have nothing to compare it to. The one advantage is that ignorance is bliss, and every movie you see is pretty much your favorite one. With these three categories in place, I can sadly say that unfortunately all three, whether it in a majority or minority, I can fit somewhat into. We all have our alliances whether we wish to realize it or not, and I find it quite impossible to solely be placed into one main category, particularly in the Ethnocentric Fan. My main argument is that if you are an Ethnocentric Fan, then I say that you are probably not a Bond fan at all. Simply stating that if you prefer Roger Moore�s movies totally over everything else, and in turn only watch his movies, then I say you are simply a Roger Moore fan. One can prefer Roger to the others, but I find it quite hard that that person cannot enjoy the other films as well. Lets face it, even if you are a Connery Bond fan, his films only officially make up around thirty percent of the films, and that percentage will get smaller and smaller as the series progresses. Probably the easiest category that one can be solely placed in is the Casual Fan. But I would argue that that probably isn�t a bad thing. Being a Casual Fan I would say is probably better than being an Ethnocentric Fan. You have more of an open mind, and can transition easier to the Well Rounded Bond Fan. Though you might enjoy playing the video games more, it probably has more to do with the fact that the games are what introduced you to the franchise in the first place. What is the point of this editorial? The point is simple and clear. Stay away from the ethnocentric category. Bond is here for the sole reason of enjoyment, and thankfully there is new content being provided to hold that enjoyment intact. But how can we enjoy it if we don�t break down our own personal alliances? We shouldn�t nit pick the mistakes of the series either. The movies are meant to bring that child back into our lives, to believe that a man can save the world from destruction and not mess up his hair while doing it, and while saving it, can enjoy the company of beautiful women in exotic locations around the world. Everyone has a favorite yes, but that shouldn�t let you declare the others to be inferior. Bond has such a vast and long history, that it is nearly impossible to have such an alliance. But even so, if you do, let go of it. You are missing out on a wonderful world filled with intrigue, suspense, and sheer joy. After all, that is why we are Bond fans to begin with. For complete, and guilty free entertainment and to let our imaginations take course in perhaps our otherwise dull, routine filled lives.